These cookies though, are sooooo yummy! 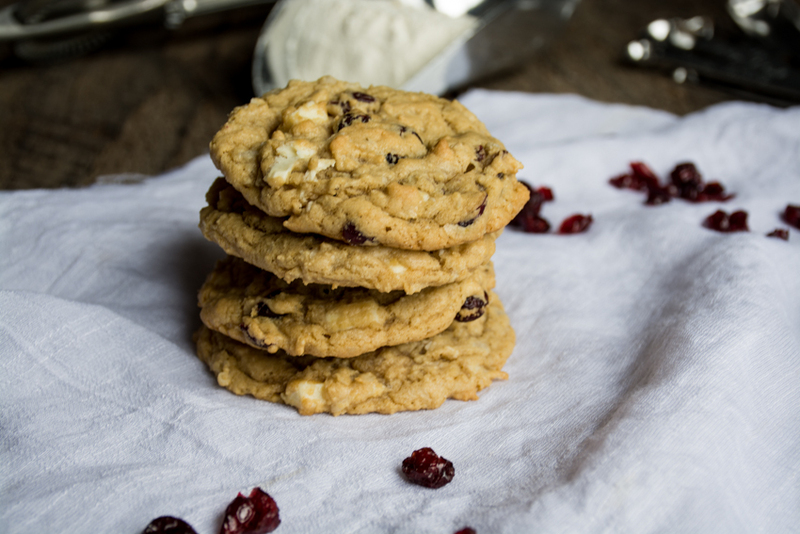 All three of my favorite components wrapped up in a cookie- white chocolate, cranberries, and coconut. 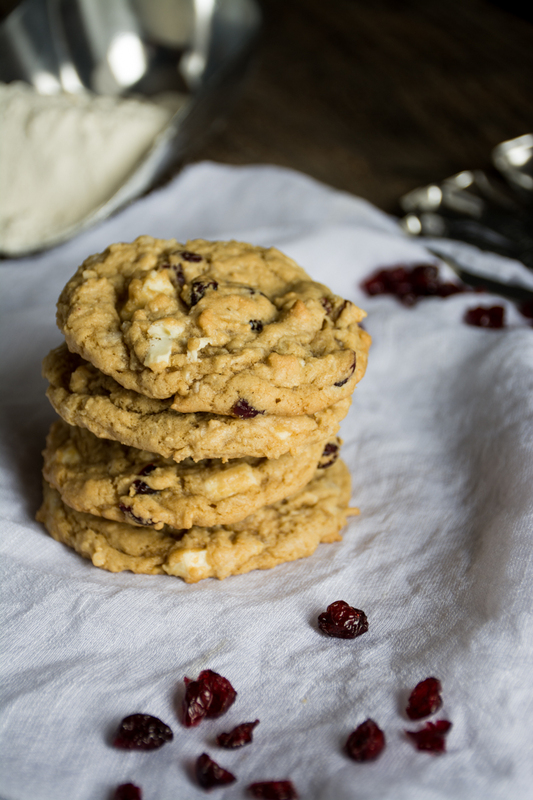 The coconut is more for texture in these cookies, and the sweetness of the white chocolate helps balance out the tartness of the cranberries. 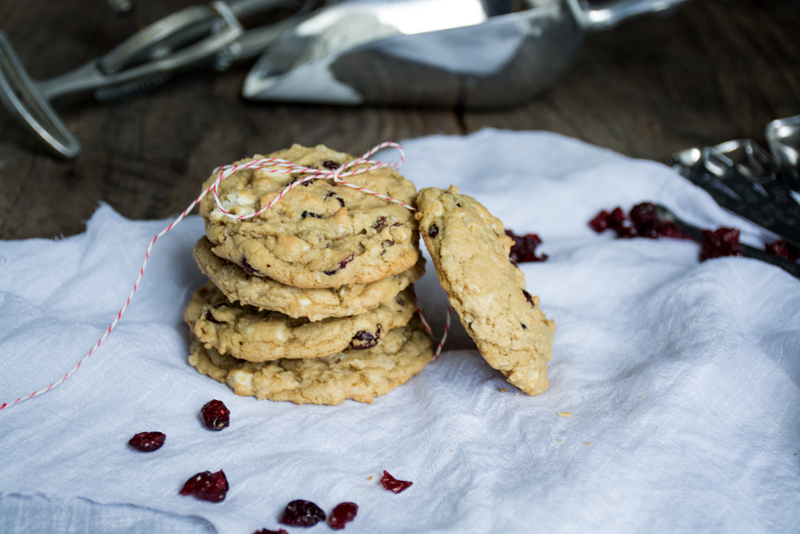 They are a nice alternative to the usual chocolate chip cookie. The other day I wanted to make some cookies, it was a really rainy weekend, and we had just spent the previous day in the rain at my daughter’s softball game. Rainy Sunday afternoons call for coffee and warm cookies. It justs seems so right….. Somehow butter, sugar and chocolate are a magical combination! I would love to meet the person that invented the cookie. Like PB and Chocolate, so wrong but so right! 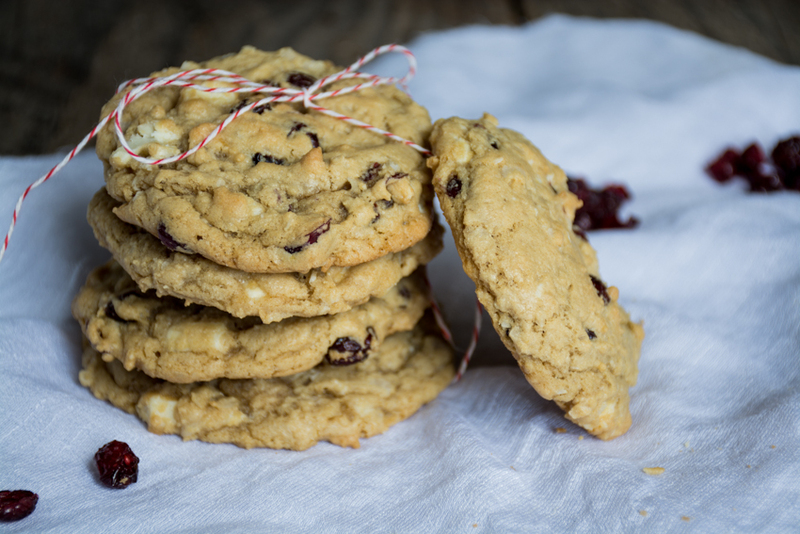 While there are a million variations of cookies, it’s hard to choose just one kind. 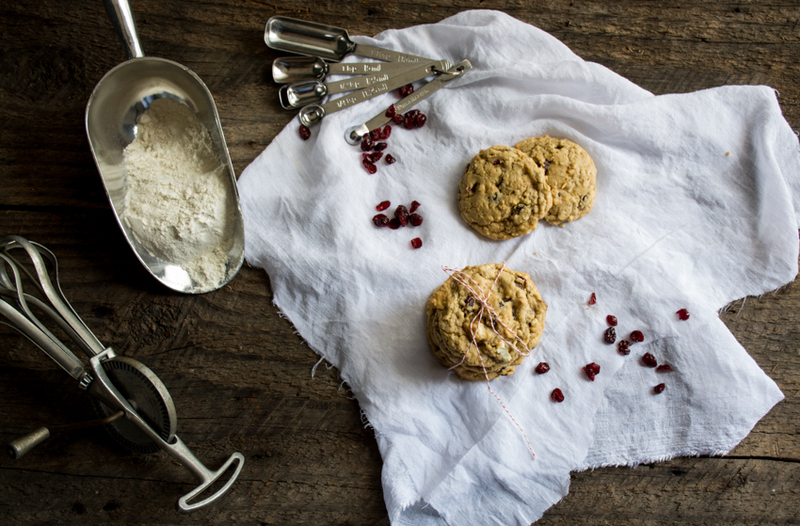 You could add macadamia nuts or cardamom to this cookie….play around with it a bit. This is the time of year I get anxious for all things summer…..gardening, riding more outside on the road bikes, fresh berries, farmer’s markets, eating outside on patios, sipping Rose with friends, late summer evenings…..oh the list is endless! I love Summer and Fall, they are my favorite seasons for many reasons! Our Spring weather is crazy in the PNW….we have rain, sun, hail, and wind, sometimes all in the same day! It’s very unpredictable! Oh summer where are you?? Preheat oven to 375 degrees and line a cookie sheet with a silpat or parchment paper. Beat butter in a large mixing bowl on high speed until soft and fluffy. Add both sugars and cream with butter. Next add the egg and vanilla mixing on medium speed until combined. Finally add the flour, baking soda, and salt and mix just until combined. Stirring by hand, add the coconut, cranberries, and chocolate. Using a cookie scoop, drop onto prepared cookie sheet, placing about 2 inches apart. Bake for 12 minutes, until lightly browned and set. Let cool on the cookie sheet for a few minutes before transferring to a wire rack to cool. Those look like…well…I’d eat all of ’em. No taller praise. The recipe looks delicious (I love all the ingredient but would never have thought about mixing them together in a cookie) , and the pictures are so great! I like your “food styling” inspiration! It’s definitely being pinned on my Pinterest board for later! Thanks for checking us at… and welcome to PDX! So much to love about our city, cheers!